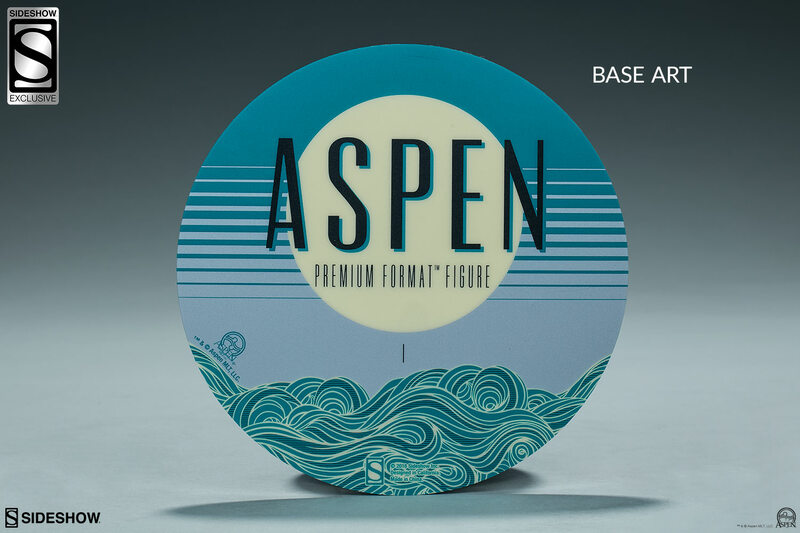 Rising from the surf, Sideshow is proud to present the Aspen Premium Format™ Figure from the acclaimed comic series Fathom. 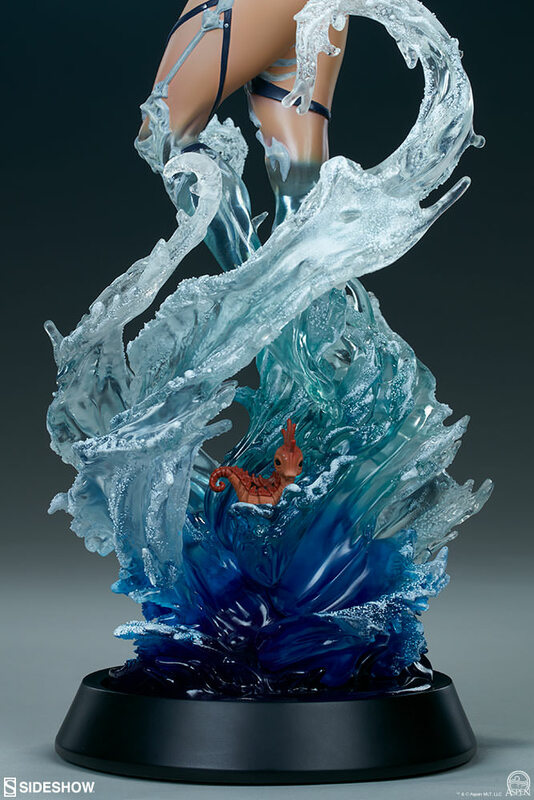 The Aspen Premium Format™ Figure stands 22” tall atop a helix of water, which swirls and swells under her command. 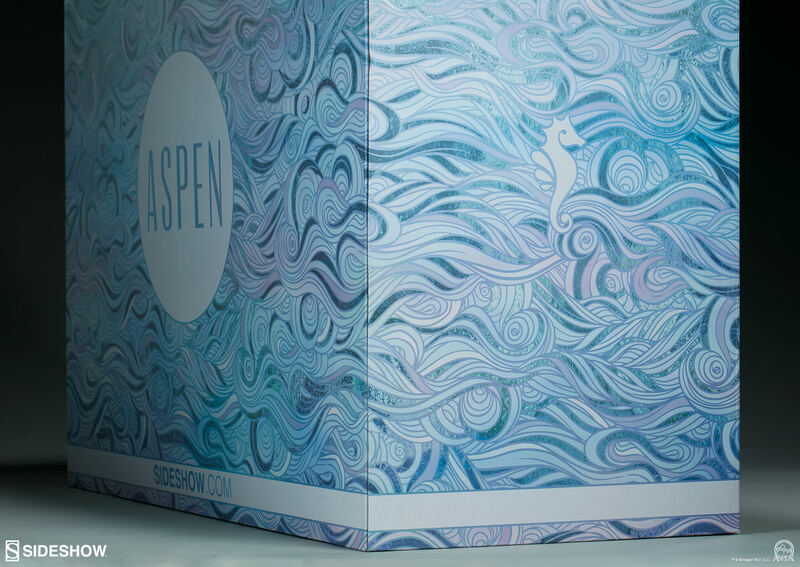 Aspen is stepping through the surf with ease, with windswept hair and a comfortable, confident pose featuring semi-translucent legs as her aquatic abilities are at work. The stunning base is painted with a color gradient to capture that sense of the boundless ocean at her command. 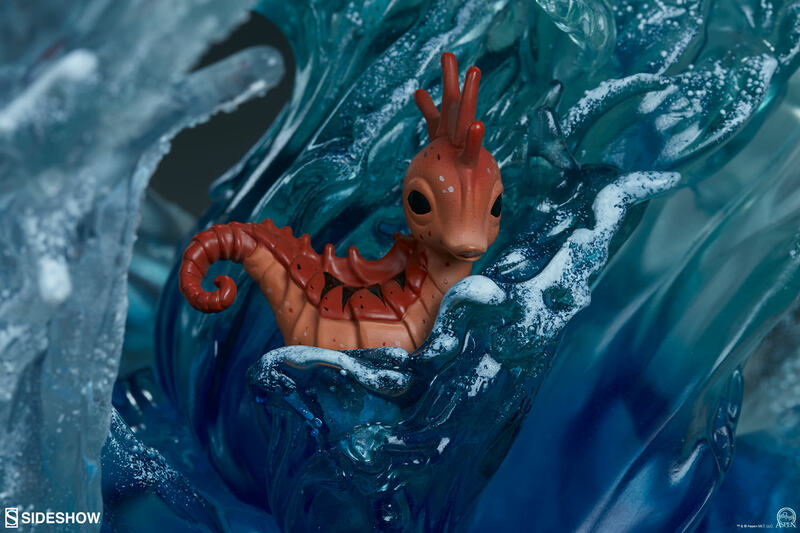 Fans of the Fathom legacy will recognize Ernie the seahorse frolicking in the waves beneath her feet. 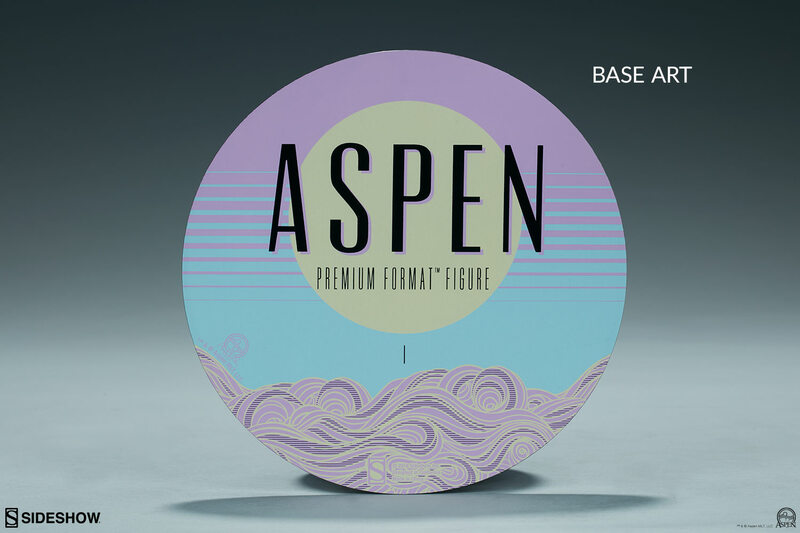 From the depths of Fathom, the Aspen Premium Format™ Figure is ready to surface in your collection! (TM) & (c) Aspen MLT, LLC. The Exclusive edition of the Aspen Premium Format™ Figure includes a swap-out right arm featuring her incredible powers in action. 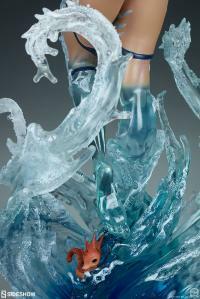 The arm features a semi-translucent gradient effect as Aspen changes her physical form into an aquatic composition. I didn't realize the sheer size of this piece! It is such a breathtaking beautiful piece. The detail and attention to detail is beyond incredible. I can't wait to pair it with the Exclusive version that's due to arrive in a few days. Michael Turner would be awe struck by this piece!